Trek Lime…did it turn out to be sour…. At a local bicycle retailer in So Cal, I have kept an eye on the Trek Lime. As you may recall Trek introduced the Lime over a year ago in hopes to tap into a market where people didn’t want to hassle with shifting. They had a real cool website that would remind you of an iPod commercial. The marketing was great, the products were hip and cool, but one problem…they didn’t really sell. I’ve actually asked a few other Trek Dealers and found that the Lime’s aren’t moving fast out the door like traditional bikes like beach cruisers, mountain bikes and road bikes. Limes were priced around $500-$600…give or take a few. The concept was pretty cool, and even cute. 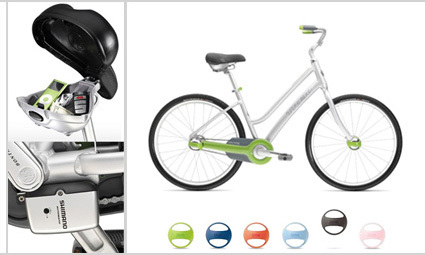 The bikes were fully customizable with various colors, and accessories. My favorite part was the saddle where you could open it up and place your wallet, keys or whatever you wanted in there. At one retailer, the Lime is placed right before the Electra Cruisers and Nirve Cruisers. But each day it gets passed up and customers want to check out the cruisers. Now I’m not so sure why the Lime hasn’t done well, perhaps people don’t like the idea of a bike shifting on its own…remember the Landrider….Or maybe the price tag was a turn off to people. For the same price you could get a really nice beach cruiser, an entry level mountain bike or a hydrid.